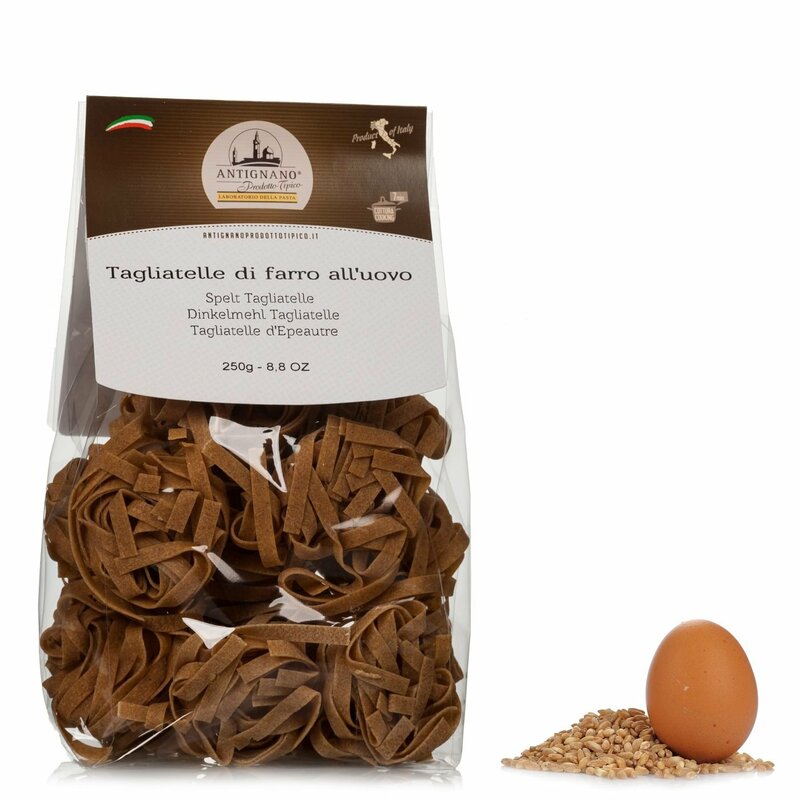 The spelt tagliatelle made with eggs bu Antignano: you can't say no! 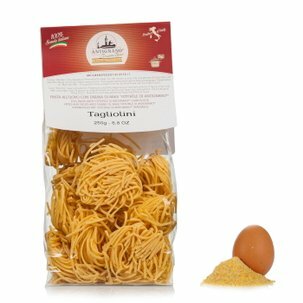 This is a pasta made with eggs produced using durum wheat semolina and high quality spelt flour, which is rich in beneficial properties for your body. 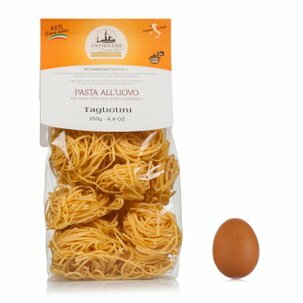 Also the eggs are selected from among the best produced by a farm near Turin. 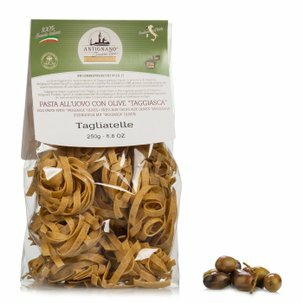 But, it is the careful attention that Antignano places on their preparation that permits the ingredients to blend so well, for a truly surprising final result. They use the bronze die extrusion method, followed by slow drying, always at a low temperature. 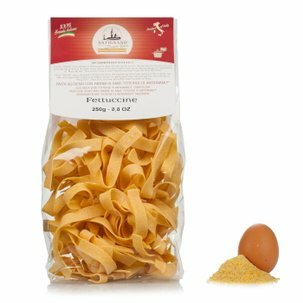 Try these tagliatelle with your favourite sauce! Ingredients spelt flour from organic farming, eggs (20%). Allergens: contains gluten and eggs. For more information on product labels, please contact our Customer Service department. The information on the labels of the products may vary for reasons beyond our control, therefore, there may be discrepancies between the information on the site and that on the products delivered. Please always check the information on the product before consumption or use.